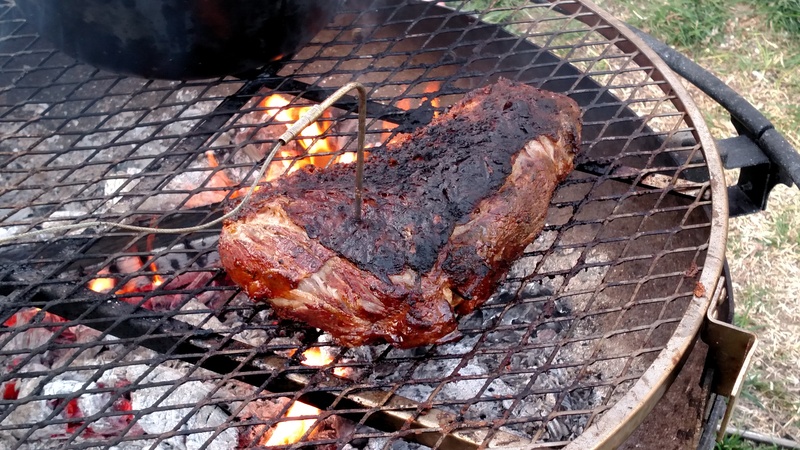 The first time we tried to cook a tri-tip roast on our barbecue, it started on fire and burned for several minutes before either of us noticed. The fact that it was still juicy and delicious after that kind of treatment made us decide tri-tip is a foolproof way to make a grilled roast that your guest are bound to rave about. 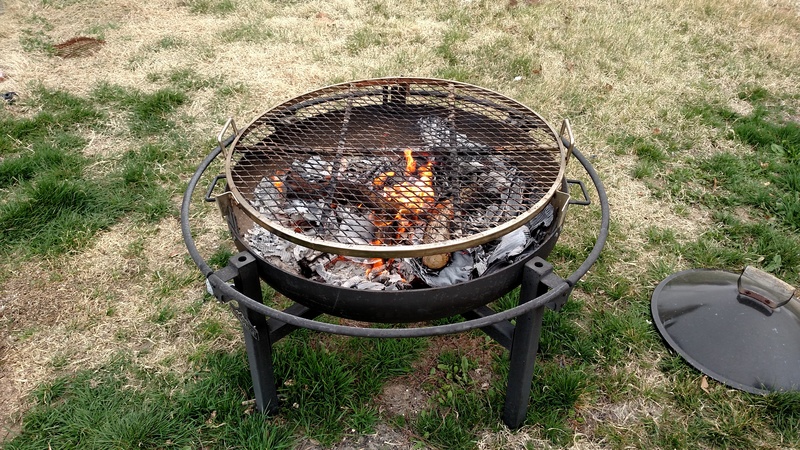 We love having fires in our backyard fire pit, and we figure as long as we’ve got a fire going we should be cooking. 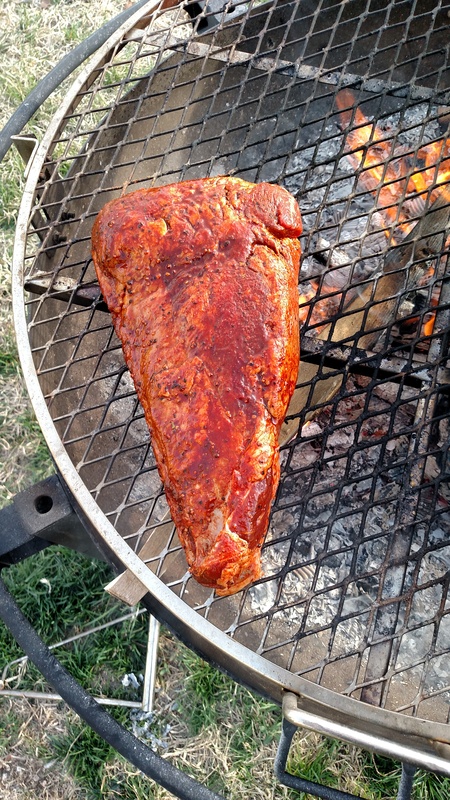 So this weekend we had a fire, invited some friends over, and cooked a tri-tip. We like to get our meat from a local butcher shop for special occasions (though honestly, if you’ve got a Smith’s nearby they usually have some good cuts of meat). The butcher for this venture was Don of Don’s Meats and gave us a tri-tip roast pre-seasoned with his special Santa Maria rub. You can season yours with whatever rub you’d like (we’ll post our own rub recipe later). Unless you want your meat blue in the middle, you’ll want to get a roaring fire going, reduce it to coals, then shovel the coals to one side and cook your meat on the other with indirect heat. You’ll also want to cover your meat with a lid or foil for even cooking. 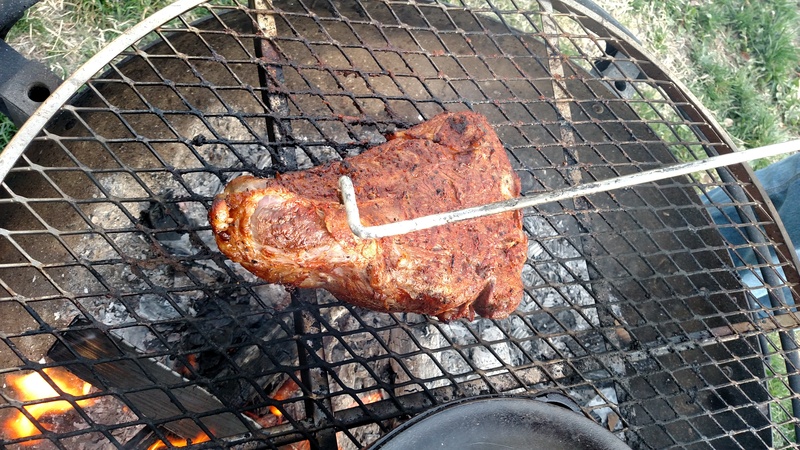 Cook the roast for anywhere between forty minutes and an hour, depending on size. Temperature is key, so instead of setting a timer periodically check the temperature of your roast to see if it’s done. Remember that your meat will continue to cook once you pull it off the fire, so you’ll want to take it off about five degrees shy of the final temp. We pulled ours off the fire at 125° F and after resting under foil for ten minutes it was a perfect medium rare. Don’t skip the resting unless you don’t want juicy meat. Slice your roast relatively thin.